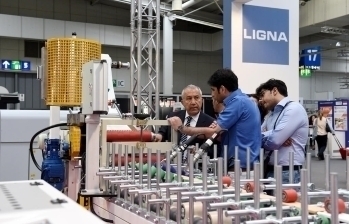 This year’s LIGNA will be staged from 11 to 15 May in Hannover, Germany. LIGNA is the world’s premier trade show for providers of plant and machinery for primary and secondary wood processing and woodworking. It has a unique format in that it spans the entire wood value chain, from forestry and forestry technology, right through to wood processing, woodworking and wood bioenergy. 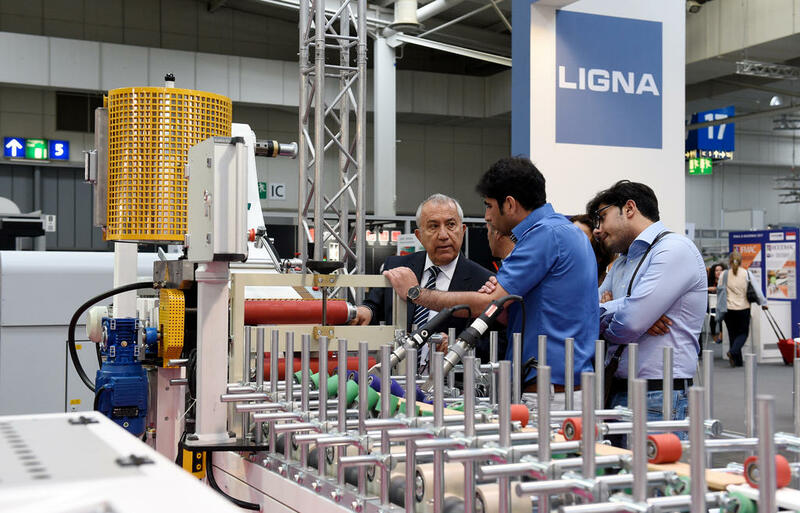 Another standout feature is LIGNA’s high level of international participation, with more than 50 percent of the exhibitor pool coming from beyond Germany. Visitors to this year’s show will benefit from in-depth coverage of innovative and green forestry and bioenergy technologies, not to mention plenty of first-class networking events, on the open-air site, in Pavilions 32 to 35 and in Hall 13 at the Hannover Exhibition Center. There, they will find a comprehensive lineup of forestry and forestry technology exhibits, including the latest forestry machinery, equipment and tools; new technologies and processes for the harvesting, recovery and transportation of timber; mobile sawmills; logistical and storage systems; information and communication systems; and training and careers programs. LIGNA is so much more than a presentation platform for state-of-the-art machines and solutions for the wood processing and woodworking industries. Its vast supporting program of special presentations and forums makes it the world’s number one networking, communication and information hub for the forestry and wood industries – a showcase that is without equal in its ability to bring together industry professionals from around the world. “Europe: One market, multiple offerings.” The presentations in this theme block provide an overview of Central Europe’s forestry machinery market and track current forestry technology trends in Europe. “The public image of our industry” showcase marks the start of an AfL public-image campaign for providers of forestry services. “Investing in forestry technology – calibration pays off” isan interactive display of a forestry machine. The display will show how different configurations can impact machinery performance, the value of the timber harvested and, ultimately, the profitability of the forestry business. The “Gaining skills and staying professional” display will use three simulators and a forwarder to highlight the machinery education and training opportunities available to forestry professionals. The displays at the KFW Business Pavilion (aka KWF Entrepreneurial Expertise Center) will be complemented by a diverse range of forums held on the mezzanine floor of Pavilion 33. On the open-air site in front of Pavilion 33 there will be a demonstration on forestry vehicle driver training that will incorporate the latest insights and findings from teaching practice and research and will feature a forestry crane control system. There will also be presentations on the new KWF seal of quality for providers of chainsaw training courses and the latest guidelines for chainsaw training courses promulgated by Germany’s Statutory Accident Insurance Association (DGUV). Another highlight will be a presentation on the applications for and benefits of using drones, or unmanned aerial vehicles (UAVs), in the forestry industry. The German Forestry Council’s “New Trends Pavilion” (P34) will put the spotlight on the latest trends and developments in the bioenergy sector. The exhibits in the pavilions under the EXPO canopy will focus on forest management, timber harvesting, wood as a construction material and wood as a renewable and eco-friendly source of energy. At the special Energy from Wood display, the focus will be on optimizing harvesting, logistics, fuel preparation and firing operations in order to maximize the energy yield from wood fuel. Deutsche Messe and the Lower Saxony Agricultural Association (LWK Niedersachsen) will showcase an entire chipwood production line at a presentation titled “From Tree to Fuel.” The display will demonstrate various technical processes involved in transforming solid wood into a useable fuel, including logistical and processing solutions for efficiently converting log sections into high-grade wood chips. It will also feature fuel preparation and drying systems, including the latest sifting solutions for removing foreign material, fines and oversized chips from wood chip feed stock. Demand for these types of technologies is growing in Germany as more and more biomass and wood energy centers spring up. Inside the Lower Saxony Pavilion (Pavilion 32) on the open-air site, the Lower Saxony Agricultural Association and several other institutions, including the Lower Saxony Renewable Raw Materials Network (3N), will be offering visitors unbiased information and advice on all matters relating to wood energy, including energy forest establishment, silviculture and harvesting, the preparation and storage of wood fuel, logistics, quality standards, the technological solutions available for utilizing wood as an energy source, and compliance with clean-air regulations. 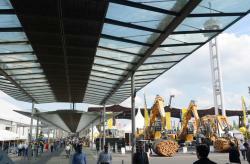 The open-air exhibits will be complemented by technical forums in the pavilions and at the Convention Center. Among them is the technical forum on “Small Furnaces for Solid Biofuels,” which will be held on day two of LIGNA in Pavilion 33 and which will present the first insights gained from the implementation of the first directive of the German Federal Emission Control Ordinance (1.BlmSchV) and propose a number of solutions. There will also be special Guided Tours that will explore the various energy uses of wood. On 12 May, the Convention Center will be the venue for a presentation on “Turning Wood Biomass into Energy” by the German Waste Wood Preparation and Recycling Association (BAV). Also staged at the Convention Center will be lectures on “The Market for Energy Wood” and “Timber Construction.” Both lectures are organized by the Lower Saxony Renewable Raw Materials Network (3N). They will be held on 11 and 13 May respectively. “NRW – Making more out of wood” is the name of a regular group display by companies and partners from the North Rhine-Westphalia (NRW) Forestry and Wood Cluster. This year, the display will be located in Pavilion 35 under the EXPO canopy and focus on global navigation satellite systems-based (GNSS) solutions for mobile mapping, documenting skidding trails and other GIS-based timber harvesting and transportation applications. Other themes covered at this year’s display include new forest information systems and methods for quantifying the climate protection contribution of the forest and wood industries. In the Energy from Wood display area, visitors can witness demonstrations of highly efficient, low-emission biofuel furnaces featuring state-of-the-art exhaust gas filtration systems. Completing the wood value chain at LIGNA will be presentations of innovative wood products, wood-based building products and timber construction services. Every two years, Lower Saxony’s top forwarder and harvester drivers gather on LIGNA’s open-air site (southern section) to compete in the state crane driving championships. This year marks the first time that the event will also feature a women’s championship. On Thursday, 14 May, Lower Saxony’s top female forest vehicle drivers will be battling it out in a competition all their own. Also on Thursday, 14 May, Germany’s top athletes will go head to head with axe and saw in their bid to win the LIGNA Cup, which is part of the international STIHL®TIMBERSPORTS® SERIES. The captivating spectacle, which always attracts huge crowds, will be held on the open-air site.